It's hard to deny that Fall temps are on the way (Let's all pause and grieve the end of summer sun & warmth). Harummmph. I'm passing up on patterns and opting for classic lines, and all forms of grey this fall. From the palest greys/white to the darkest/black. 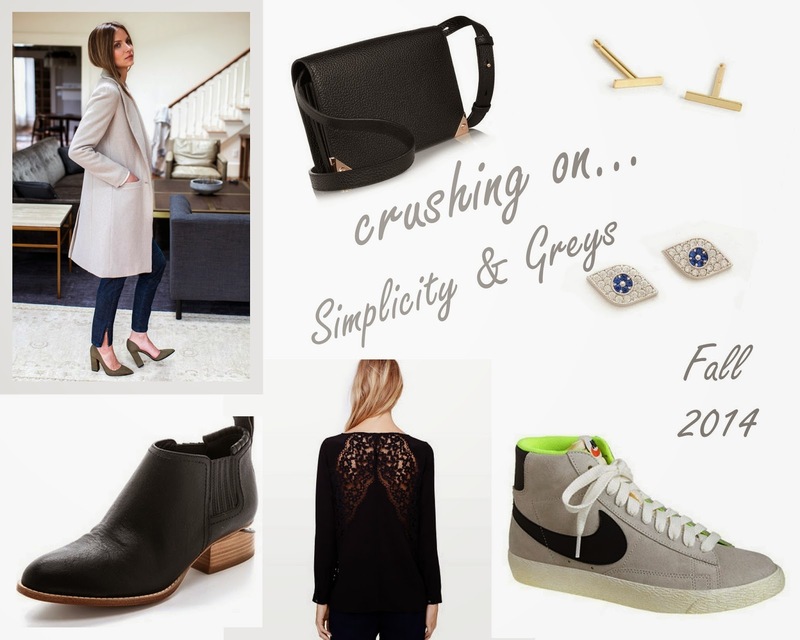 Chunky D'orsay Heels, Simple bags, classic studs, hints of lace & fun flat boots & sneaks! Have you purchased anything yet for Fall?